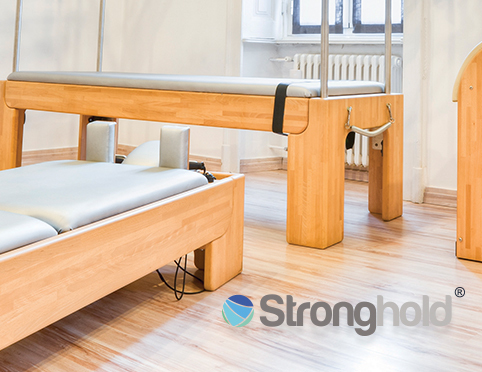 Stronghold manufactures the finest Pilates products that can be found in the Pilates market today. Our products have been developed with the experience and advice of 100’s of professional teachers of Pilates from around the world. Through the use of the best quality raw materials together with superb quality control, throughout each production stage, this sets our products apart from similar products and allows us to offer the best quality/price relation on the market. These Pilates products are being displayed in many countries with the Stronghold brand and others as these products are also manufactured OEM. Contact us today to set up, expand or replace your pilates equipment.